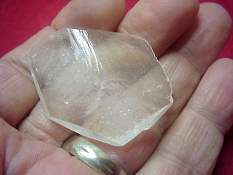 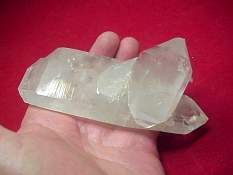 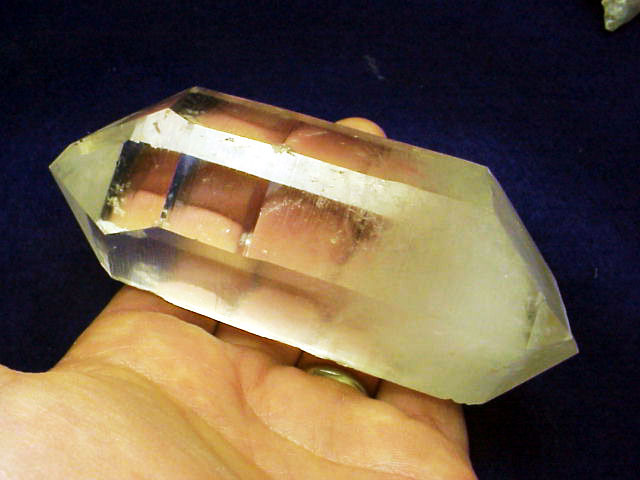 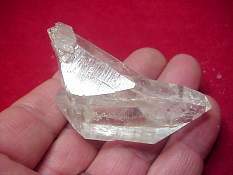 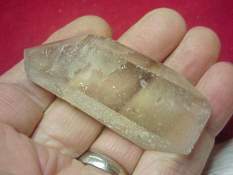 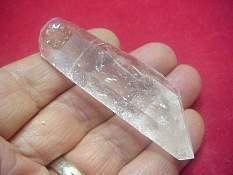 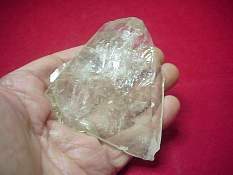 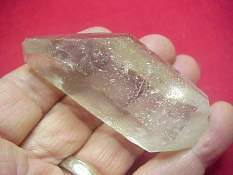 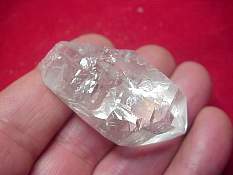 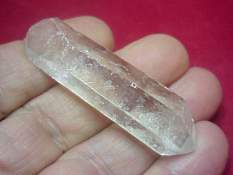 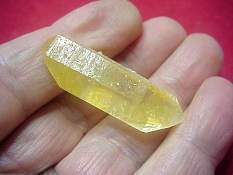 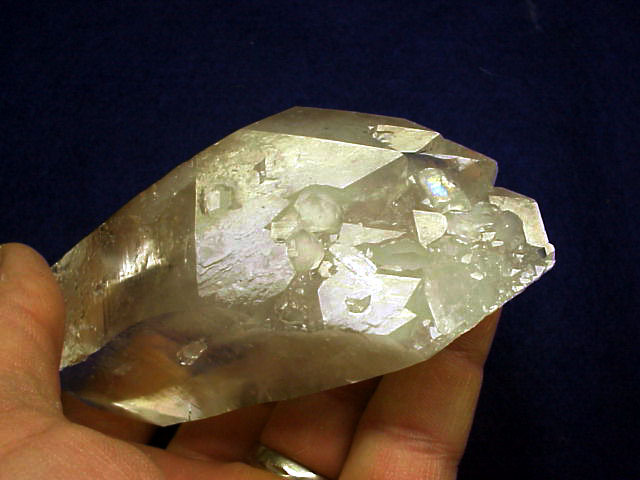 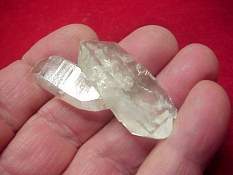 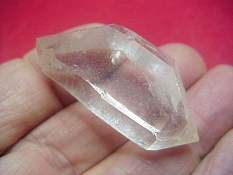 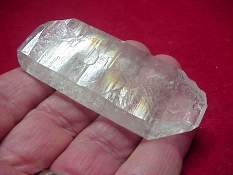 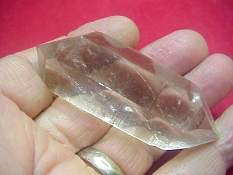 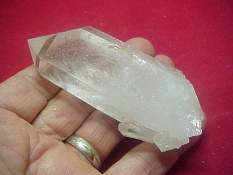 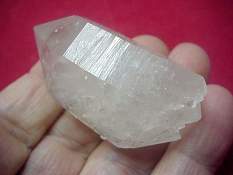 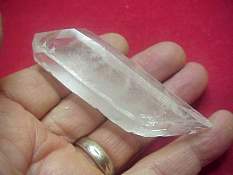 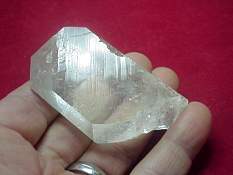 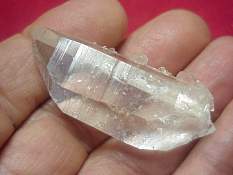 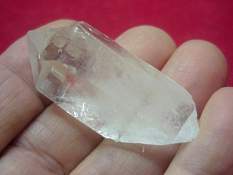 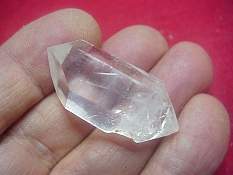 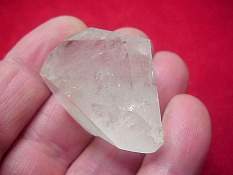 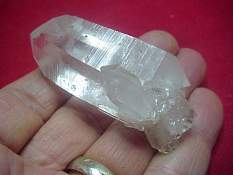 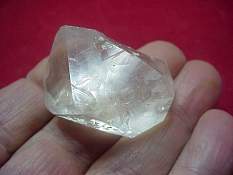 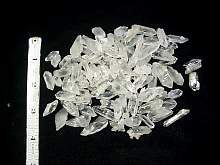 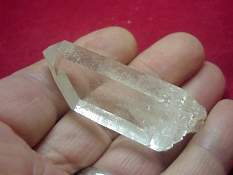 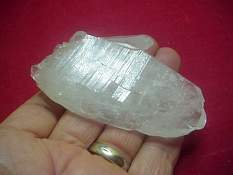 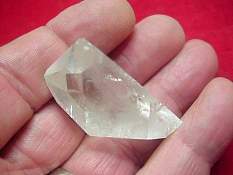 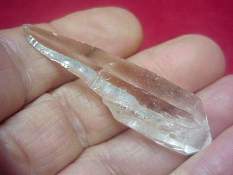 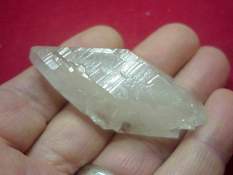 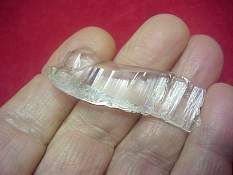 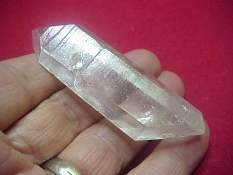 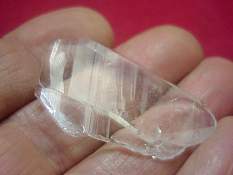 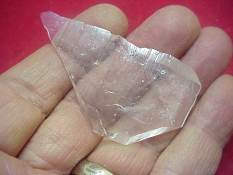 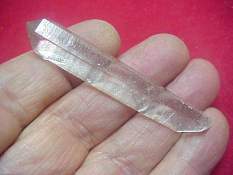 A crystal with a single termination at one end and multiple terminations at the other end is called Extra-Terrestrial Crystal (ET).� The multiple terminations are usually caused by the healing of a broken point.� It is believed this crystal will help channel space beings, celestial beings, and guardian angels. 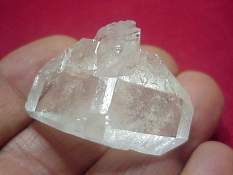 Unique DT/ET formation with a DT stuck on the bottom. 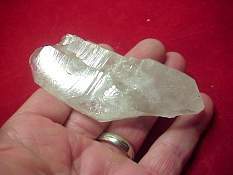 Water clear 3" DT with lots to explore. 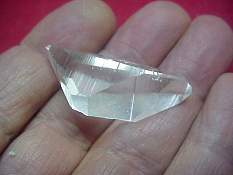 Water clear 3" tabby DT. 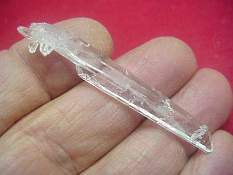 Has a chip on one end and needs a good home. 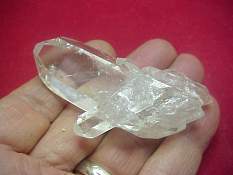 Water clear 2" with barnacles on one side. 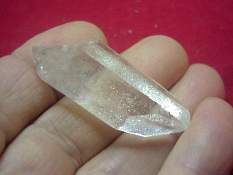 Unique water clear 2.5" DT with companion DTs on one end. 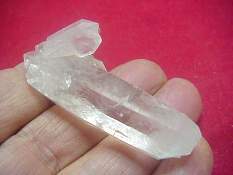 Water clear DT stuck on top a point. 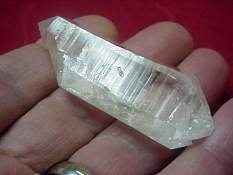 Water clear 5" twin DT with lots to explore. 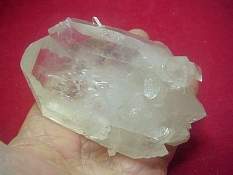 Water clear 3 point DT cluster. 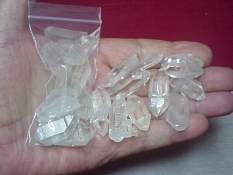 Water clear 2.75" with rainbow infractions. 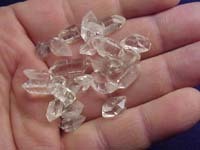 2" water clear DT with a trans-channel faces. 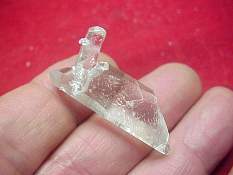 Unique Water clear 5.5" tabby with lots to explore. 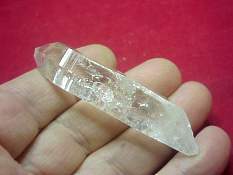 Cute little 1" tabby DT with included Manifestation crystal and black stuff in it. 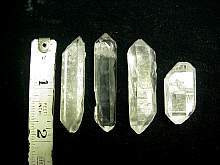 Water clear unique 3x3" formation with rainbow infractions. 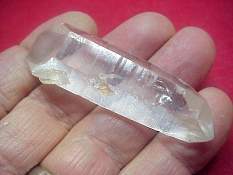 Optical clear 2.75" light natural smoky. 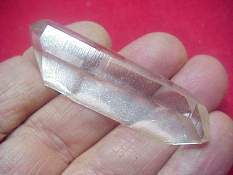 Optical clear 1.5" DT sheet crystal. 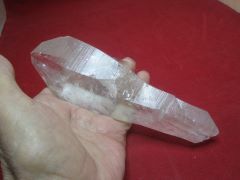 5.5" tabby DT with two more Dts stuck on the side. 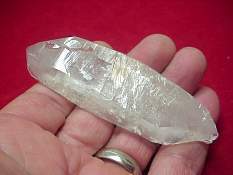 Optical clear 2.75" natural smoky tabby DT.